This property is located in the Douro Valley, 1 km from the centre of the village of Folgosa do Douro, 10 km from Peso da Régua and 15 km from Pinhão. 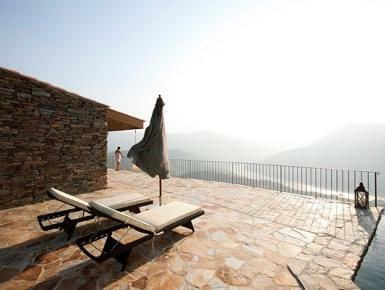 The beautiful villa with private infinity pool and garden profits from an outstanding setting dominating the river Douro. Set in substantial, enclosed grounds with plenty of garden furniture and a barbecue this is a restful, beautiful place to holiday. The areas to the south of Folgosa do Douro, such as the town of Lamego, are fabulous and within easy reach. There are numerous Port houses where you can sample/buy the world famous nectar. It is just a 20 minute walk to the Douro River. The nearest restaurant is 1 km away and there is a supermarket at about 10 km. It is 111 km from Porto airport.